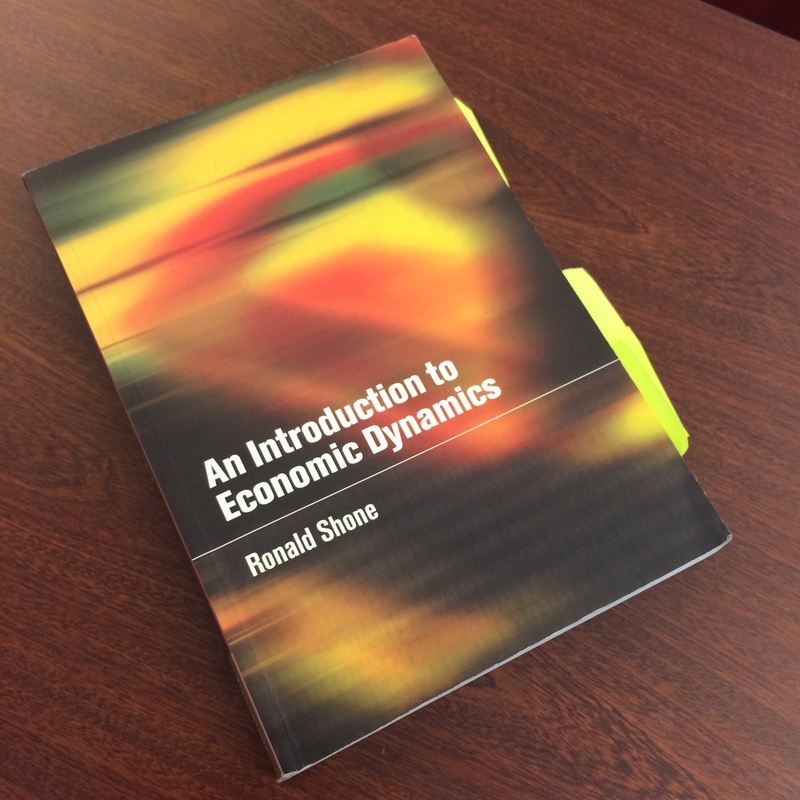 A professor lent me An Introduction to Economic Dynamics by Ronald Shone when I asked for more information about the connections between dynamics and business planning. Economic Dynamics explores, in the context of the firm and primarily with calculus and statistical models: stability and its shifts, equations to graph how advertising will affect revenue and arrest sales declines as well as approach asymptotes (yes a way to measure the anticipated impact of advertising), how and why trends are backward-looking, Cournot solution for oligopolies with oscillation when demand is linear and marginal cost is constant, and the equation on probability of adoptions (more S-curves). The variables of our reality are dynamic and we are armed with the math to see through the chaotic present, specifically complex system dynamics in a firm’s environment. With calculus to address the forecasting side of futures work, this book addresses quantitative tools for calculating just how unpredictable and chaotic a system is (how much can be forecast and exactly where does the foreseeable begin) and forecasting bifurcation of qualitative points (where a system will branch chaotically). The term Dynamics is key because change must be accounted for. Without planning for change our forecasts are naive and we would expect the same for tomorrow as we experienced today regardless of complexity. Our modeling thus includes time steps and progresses with causal loop diagrams to systems dynamics and calculus. course and a Managerial Economics MBA course. My big takeaway was dynamics’ direct tie between business management planning, strategic foresight, and systems thinking theories through models and math. Shone, Ronald. An Introduction to Economic Dynamics. Cambridge: Cambridge University Press, 2001.